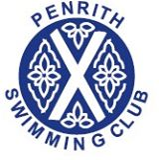 MEMBERS of the Penrith Swimming Club squad competed in the second round of the Cumbria Diddy League for nine to 11-year-olds. Personal best times were achieved in 15 events, both individual and team relays. Jenny Mather came second in the 11-year-old girls’ 50m backstroke. Third places were achieved by Max Laszlo in the 50m butterfly and Matthew Golden in the 50m freestyle.